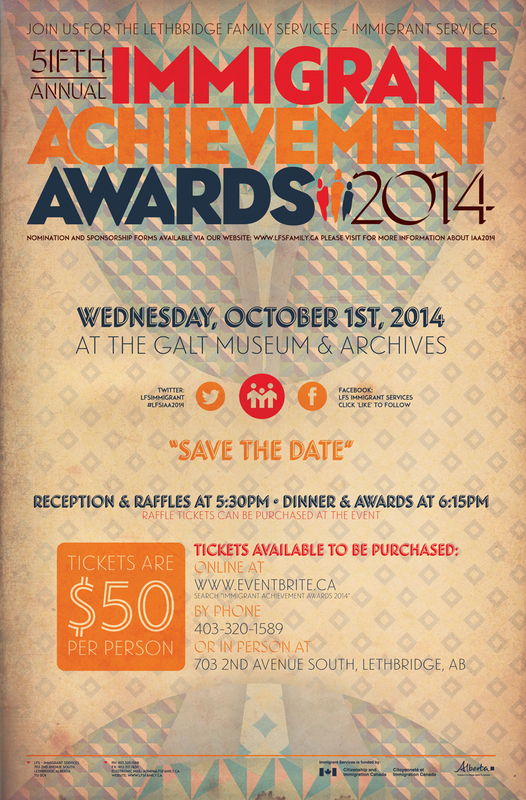 Join us for the Lethbridge Family Services - Immigrant Services 5th Annual Immigrant Achievement Awards (IAA2014). You can support IAA2014 by nominating an immigrant from your local community or by sponsoring our event. Find out more by reading below! Event Date: October 1st, 2014 "Save the Date"
Note: Alternatively, you are welcome to stop by our office (703 2nd Avenue South) and pick up a nomination form. Note: Alternatively, you are welcome to stop by our office (703 2nd Avenue South) and pick up a Sponsorship Package. You are welcome to purchase tickets via the www.eventbrite.ca website; search 'Immigrant Achievement Awards 2014". 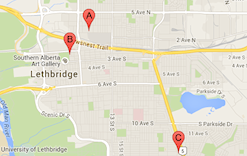 You are also welcome to pre-purchase tickets at our office (703 2nd Avenue South) for $50.00 CAD. If you have any questions regarding the Immigrant Achievement Awards 2014 feel free to contact Nickolej Villiger • Education & Outreach at 403-320-1589 or via electronic mail nvilliger@lfsfamily.ca. Thank-You for supporting Immigrant Achievement Awards 2014!